Travels With Bowie & D.O.G. : New Mexico! In the past six years, my dogs and I have seen a lot of this country. I take a lot of photos when I travel and my favorites are usually the shots with my border collie mixes Bowie and Dio (short for D.O.G.). 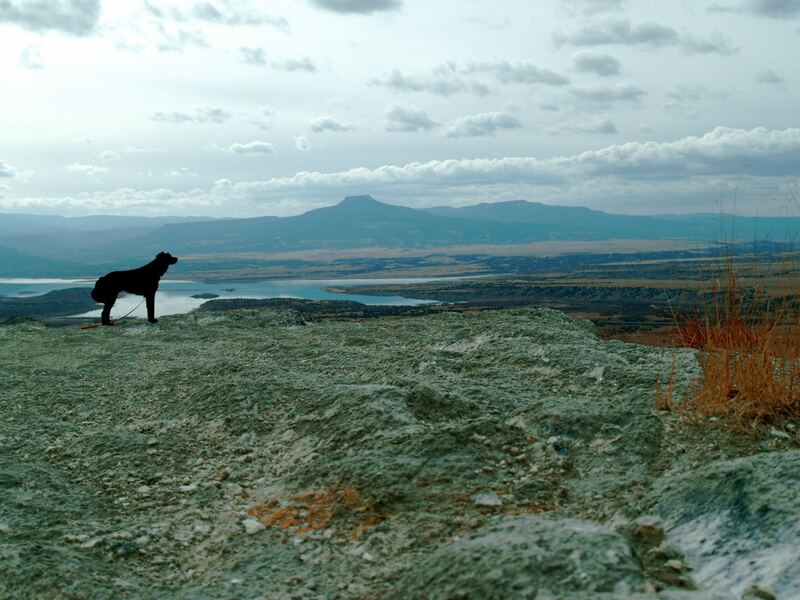 Without the dogs, it’s just a pretty picture, but with them it’s a place I’ve been, a place I know and love. From time to time I’ll post some of my favorite photos on here from my travels with Bowie and D.O.G. Today: New Mexico! When I moved from Virginia to the Land of Enchantment I came sight unseen and it was love at first hike. 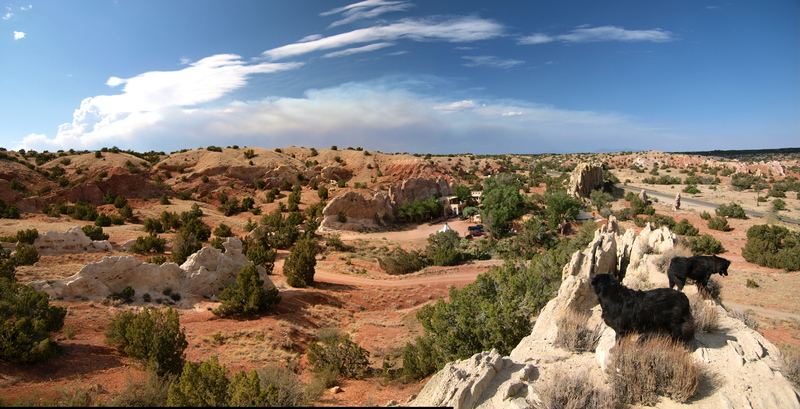 I most love New Mexico for the rocks and the space. With so little greenery the bones of the Earth are delightfully bare and the rugged topography and wide open vistas always make me want to lace up my boots and go. 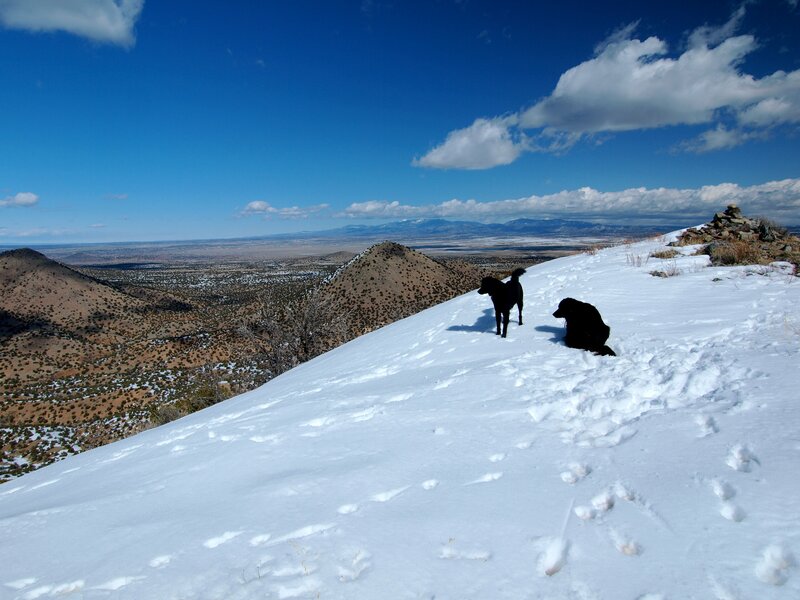 In New Mexico, you can see to the horizons, and where I live near Cerrillos, you can hike to them too. The Pedernal from Ghost Ranch & D.O.G. 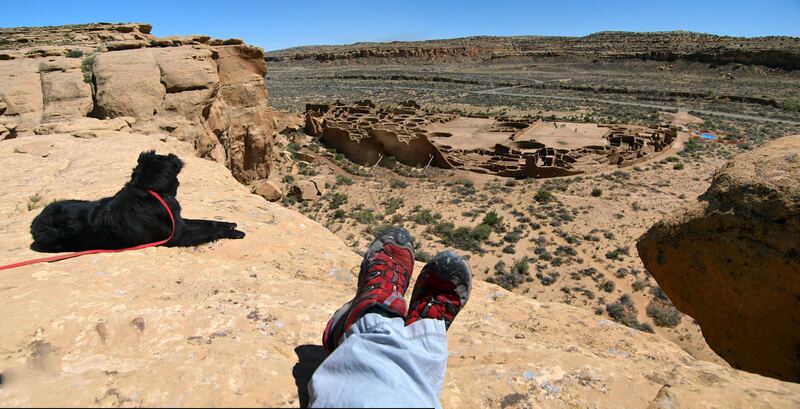 This entry was posted in Bowie & D.O.G., Hiking!, New Mexico, Photography, Road tripping!, Uncategorized, Vagabonding 101 and tagged cerrillos, chaco canyon, dogs, ghost ranch, hiking, New Mexico, road trip, travel. Bookmark the permalink. 1 Response to Travels With Bowie & D.O.G. : New Mexico!